Get to Know Us, Your New Jeep Dealership Serving North Haven, New Haven, Branford, and Milford! At Executive Jeep near Branford, we want your experience to always be positive. From the moment you step inside our showroom and find the latest Jeep Cherokee, Wrangler, and other Jeep models on display, we’re here to help put you behind the wheel of the right new or used vehicle for your New Haven commute. But we don’t consider that the end! Executive Jeep offers a wide range of other services as well, which you’ll experience from the moment you choose your next car. For instance, our team of Jeep lease and loan specialists make it a priority to help you drive home to Milford in the vehicle you’ve chosen on terms you feel great about. Even after you leave our dealership as a new owner, we aim to please by offering comprehensive care from experienced technicians at our car service and repair center. Buying or leasing a vehicle from us ensures that you get topnotch maintenance as we use genuine Jeep parts. It’s just another way we look out for you, and further your connection with your ride. How can you experience all this? 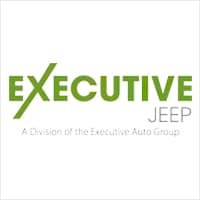 Executive Jeep can be contacted online, or via phone at ​888-712-6277. We also love visitors! So stop by our showroom at 900 Universal Dr North North Haven, Connecticut. We’re happy to continue the conversation, discuss new models, and answer any questions you might have. Since 1972, the Executive Auto Group has been committed to serving all of your automotive needs, whether it is sales, leasing, service, parts or just information. Your complete satisfaction has always been our first priority, and we appreciate the opportunity to earn your business. Since we opened our first dealership, our motto has always been “Treat Every Customer Like Our Best Friend.” For more than 37 years, Executive has lived up to this belief by exceeding the expectations of more than one hundred thousand customers that we have been honored to serve. Experience for yourself why our customers always come back to the Executive Auto Group. The Executive Auto Group believes in giving back to the communities where we do business. We participate in community toy drives, work closely with the Meriden Boys & Girls Clubs, hold various golfing outings, and sponsor Meriden, Wallingford, and North Haven little leagues. The Executive Auto Group is actively involved in various Chambers of Commerce, including Quinnipiac, Meriden, and others. We are also members of a number of other associations such as the National Automobile Dealer Association, the Greater Hartford Automobile Association, and more. The new and pre-owned inventories at Executive Jeep are always stocked with a wide variety of Chrysler, Dodge and Jeep vehicles. The qualified sales representatives and expert auto technicians provide you with a straightforward, no-hassle shopping and service experience every time. Come see us today to experience everything our North Haven dealership has to offer!